The ISOMETER® isoRW685W-D is a ground-fault monitoring device for IT systems in accordance with IEC 61557-8 for railway applications and has been specifically tested according to DIN EN 50155. 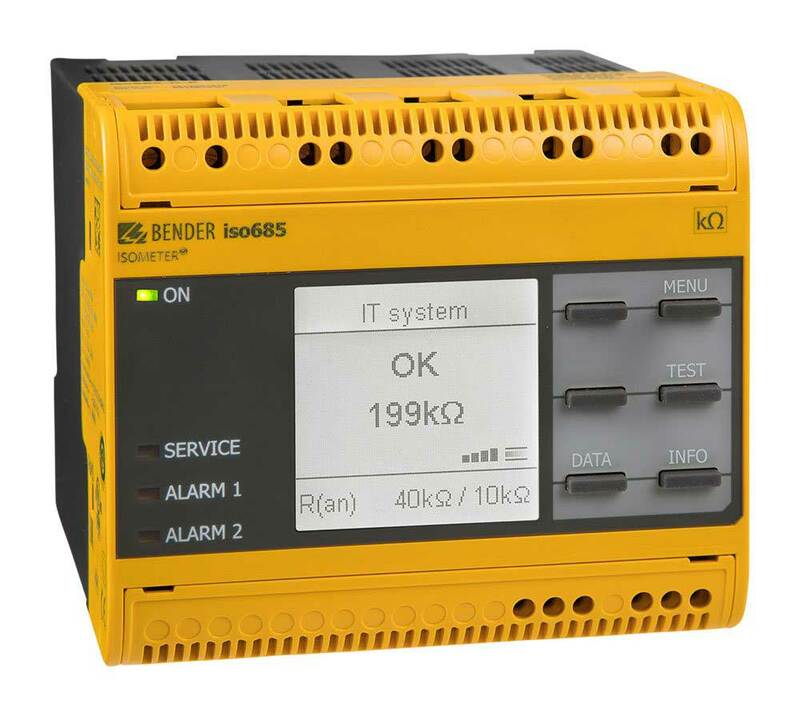 It is universally applicable in AC, 3(N)AC, AC/DC and DC systems. AC systems may include extensive DC-supplied loads (such as rectifiers, inverters, variable-speed drives).